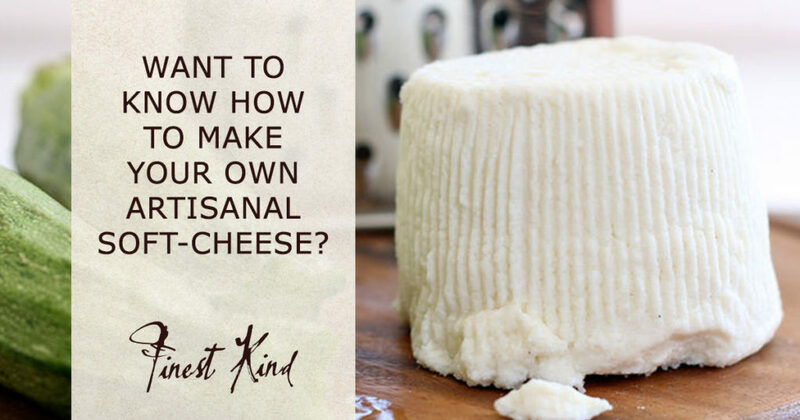 Finest Kind has teamed up with June Culinary Studio to promote cheesemaking in South Africa! June Culinary Studio is the nation-wide travelling food demonstration experience that travels the country. June brings you a fun and exciting 3-hour demonstrations that enables you to make quality soft-cheeses such as Mozzarella, Feta, Halloumi and Ricotta. Once you’ve learned these culinary cheesemaking skills, you can make the cheeses in your own home with the recipe booklet you receive and with the cheese kits available to purchase at the demo. What’s more, you will be treated to a cheese tasting with homemade tarts and ciabatta! Join in and become a patron in the art of cheesemaking! This entry was posted in Blog, General Information and tagged Artisan cheese Cheese-making workshops Plett Finest Kind June Culinary Studio, cheese, cheese course, cheese demos, Cheesemaking recipe, cottage cheese, soft cheese. Make vegan camembert cheese using only five ingredients. Create creamy, probiotic and vitamin-rich kefir butter using two ingredients and eight simple steps.